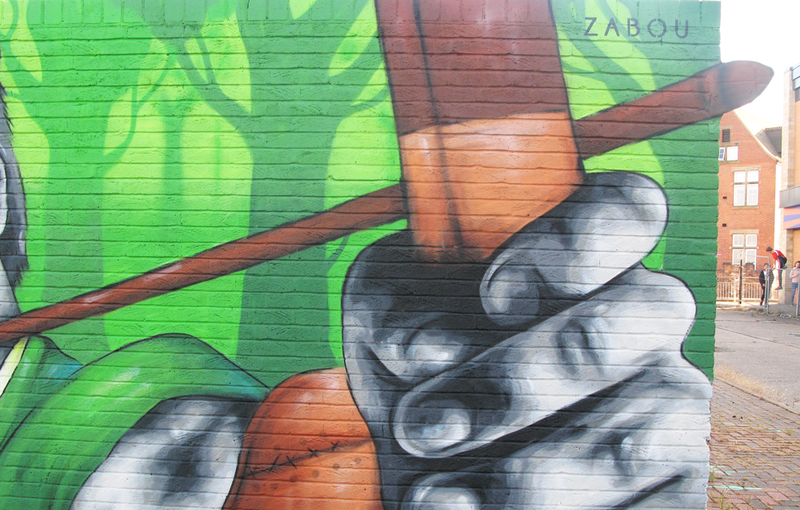 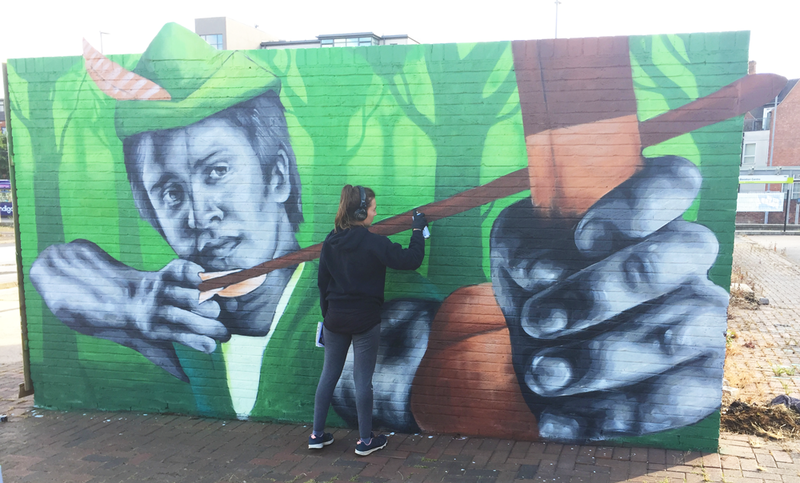 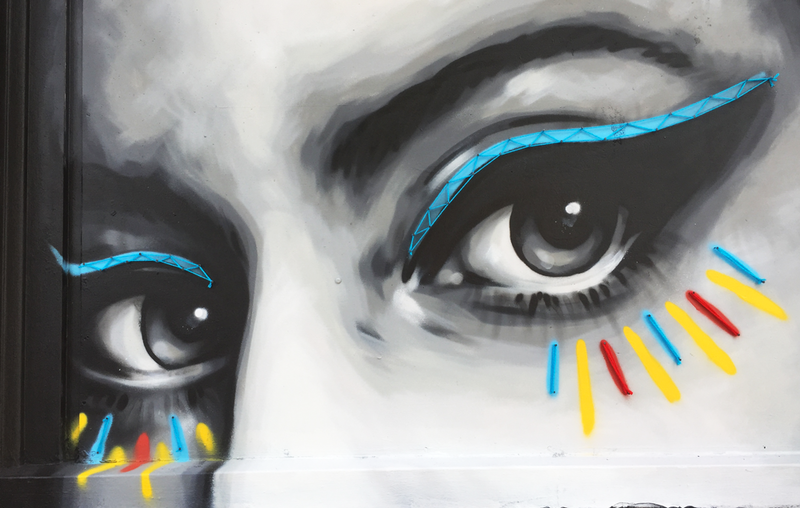 The town of Beeston near Nottingham invited me to take part in their first street art festival. 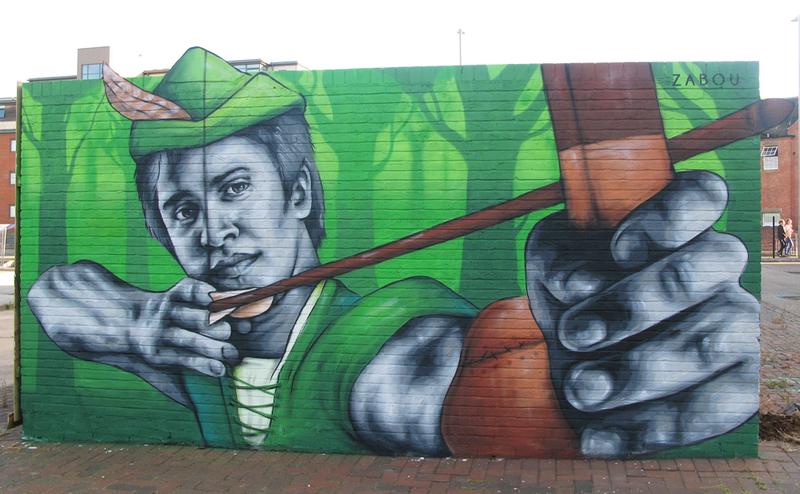 I painted a portrait of the legendary Robin Hood, holding his bow and ready to shoot! 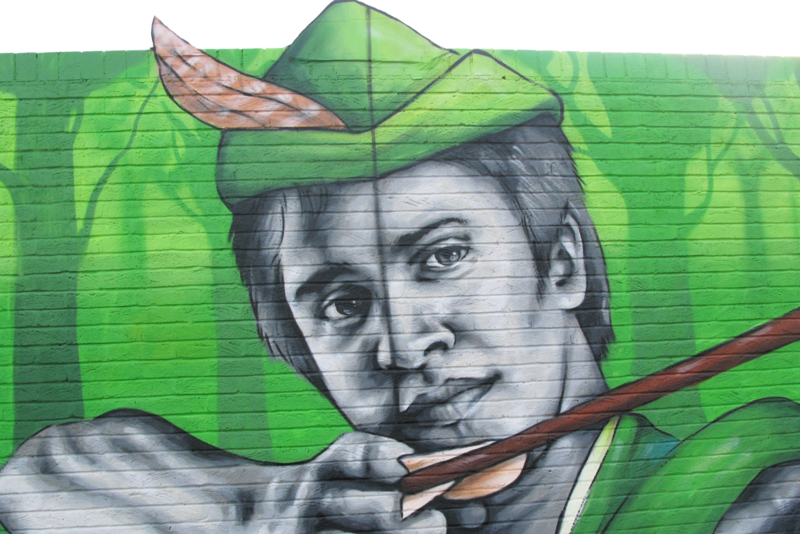 I should be back in Beeston very soon for more projects – stay tuned! 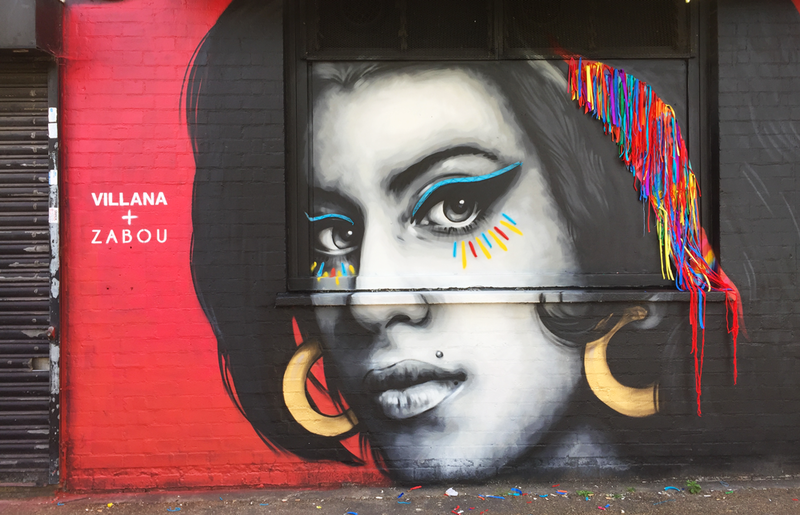 The lovely yarn artist Villana is visiting from Mexico, and we seized the opportunity to create a new collaboration together: a mural of Amy Winehouse. 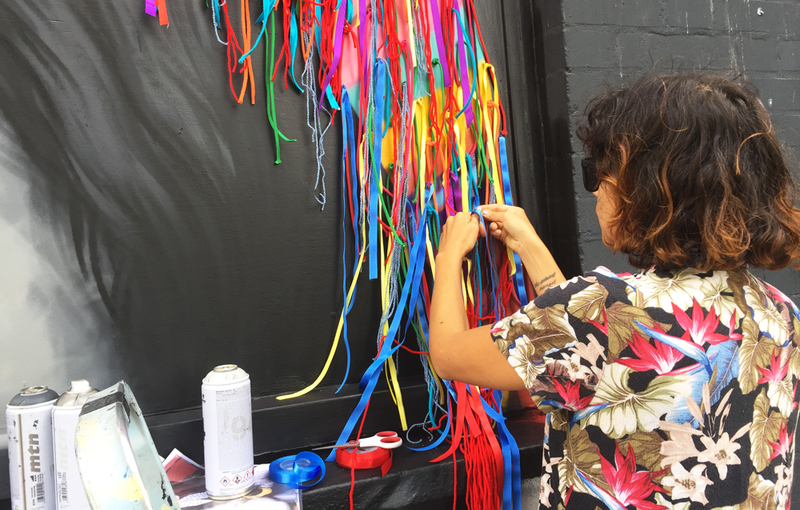 We combined my style of portrait with her colourful touches of ribbons and yarns, floating in the wind. 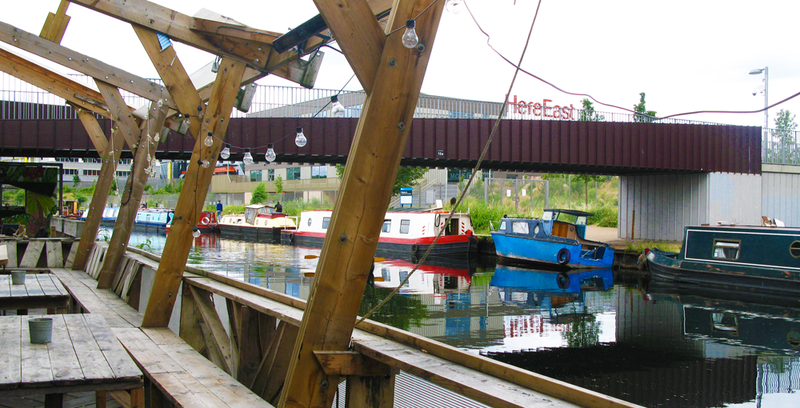 Number 90, a venue along the canal in Hackney Wick in London, invited me to jam for the day. 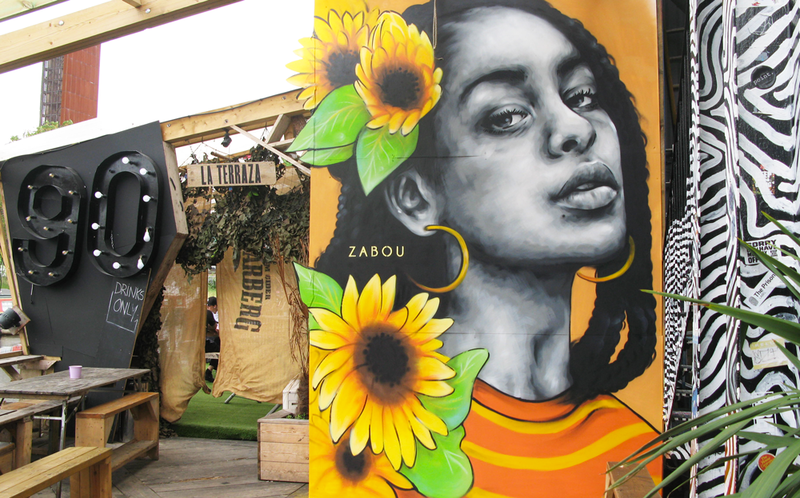 To celebrate summertime, I created this mural based on a portrait of Jorja Smith, a UK-based soul singer, seen surrounded by sunflowers. 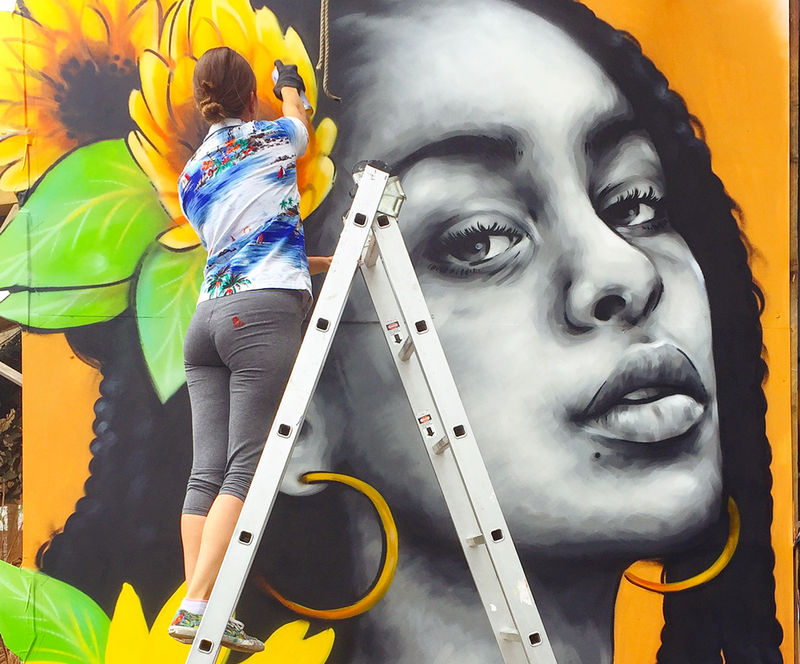 I cut out and attached foam panels to create the illusion of the flowers coming out of the frame.